A great hair cut... can make the world of difference to the way we feel about ourselves and how others perceive us. 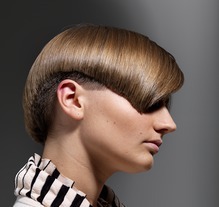 A great haircut...needs to capture the very essence of each of us, be easy to manage and look fantastic at all times. A great haircut... starts with an in-depth consultation between you and one of our team members at Miles Wilson hairdressing. By listening to YOU, we ensure that your haircut is beautifully crafted, fashion forward, and perfect for your requirements. Miles Wilson hairdressing is a Wella Professional Colour Specialist salon and our highly-trained colour specialists can create the perfect colour for you. We offer a full colour consultation, so you know that we've listened and you will be heard. 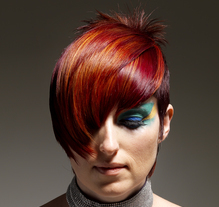 Using the latest colour techniques, coupled with post-colour treatments to "lock in" your colour, your hair is shiny and healthy, making you feel like a million dollars—GUARANTEED! Is your hair feeling dull or looking damaged? Or maybe your scalp is looking oily or feeling irritated and itchy? After a thorough analysis of your hair and scalp, you will experience the 3-step Alchemy Treatment. Relax and be pampered with our indulging scalp massage, while we restore the health of your hair and scalp—a touch of sheer luxury.